Waiting for the next move up....Sez here that this is a good dip to buy...Silver going on a tear and Yellow..you might find it lower...but.....ha..ha.....any dip is a .BUY ...All IMHO.......GLTA!!! StockJock-e and T0rm3nted like this. Hope some peeps bought in last nite as suggested...another cool thing about metals...you can play dang near all day long.......GLTA!!! I Am a 10+ year member of the old site and tagged Metal Strategist.. Most miners are doing well this AM...One of my longs and favorites these past few weeks (AUY) is doing quite nice today. I have bucked the trend on her and done really ok....Gonna keep her in the fold............GLTA!!! Gold bugs rejoice, what a day! Especially if they sold at open! Looks like a the sell off is happening! $HUI still has room to fill on the lower end. May not do it in a single swoop, but the leverage trade is gone. 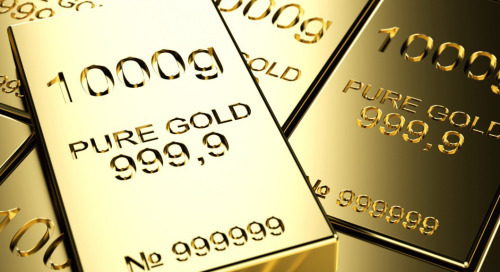 all gold related names took a beating today because it's rumoured that a central bank sold 10k cts of gold and apparently further selling orders are rumoured to be on deck so we will like see a continuation to the downside. Disclaimer: " this info came from a source of mine". 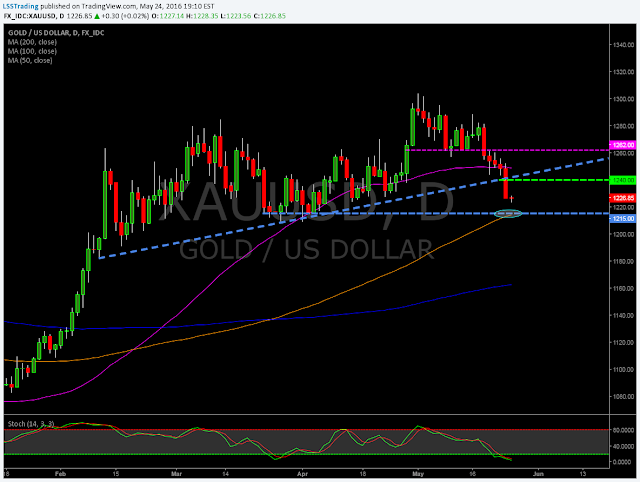 $126.33 GLD is the key level to watch for between today and the end of autumn. That price level will decide wether the current daily flag leads to a push to a new 52-week high or down to a new trading range between $119 - $124 GLD. If GLD pushes back against $119 - $124, there is the risk of a H&S forming on the daily time frame, but depending on how well price holds at $124, it could just lead to another daily 'higher low' in the making. Only a trade above $129 GLD offers the possibility of new highs. GLD still using $126.33 as support. The weekly now turned this price point to a new inflection point that marks the point of a possible 'higher low' and an extension of the trend. Something similar to what has transpired in the Euro (inverse) after a bottom was set in may take place in gold if no new high is made by year end -- a broader pennant formation characterized by a drip lower but nothing that comprises the long term uptrend. I picked up a little $DUST today, a 3X ETF short the gold miners. The reason? The stock chart on $GDX (the gold miner ETF) is hammering on a trend line and about to break sharply lower. When the trend line breaks, the GDX will drop from its current price of $26.40 to a target of $22.50. This ia a drop of 15% but will result in an almost 45% move up in DUST. Note the stock chart below of GDX. Since the start of 2016, gold has been outperforming, advancing nearly 30% through late July. Even after last week’s 5% loss, gold is still up over 18% year-to-date based upon continuously-linked non-adjusted front-month futures prices (used in all charts below). Using data from 1975 to 2015, gold’s average annual gain has been just under 7% in all years. 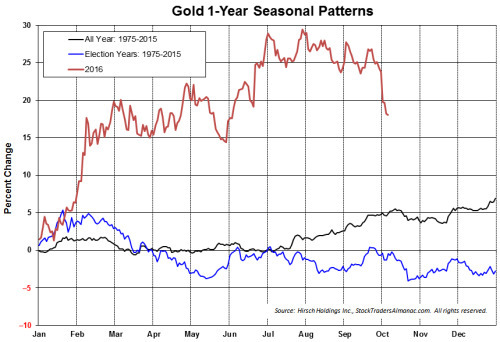 In election years, gold has been substantially weaker, averaging a loss of 2.8% since 1975. Gold’s performance this election year has been well above average. 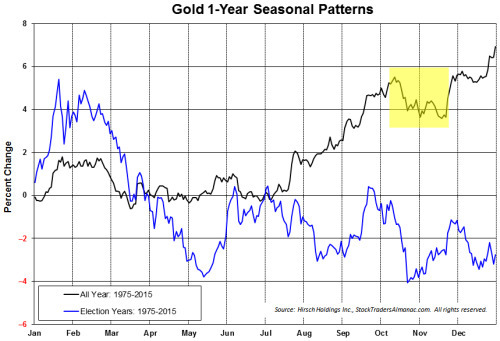 Removing 2016 from the above chart we are left with gold’s 1-year seasonal pattern in all years and in election years (below). Brief seasonal weakness is shaded in yellow. Early October declines tend to persist and lead to a lower low in November before gold rebounds to finish the year higher in “All Years.” In election years, gold’s October decline has been greater in magnitude, but shorter in duration with the rebound beginning near the end of the month.